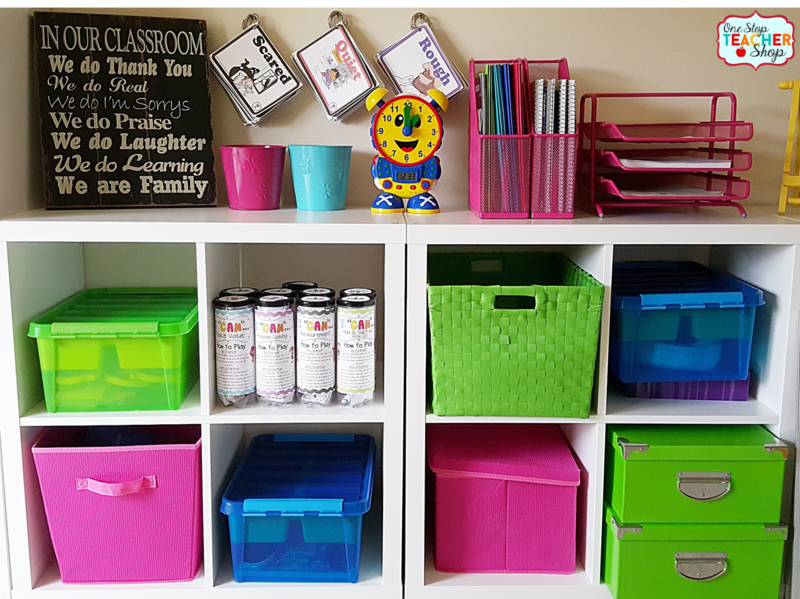 Good classroom organization is a MUST for any successful teacher! No matter what organizational tools you are using to keep organized (book crates, teacher binder, student binder, filing systems, etc.) having a solid system in place can make or break your year. 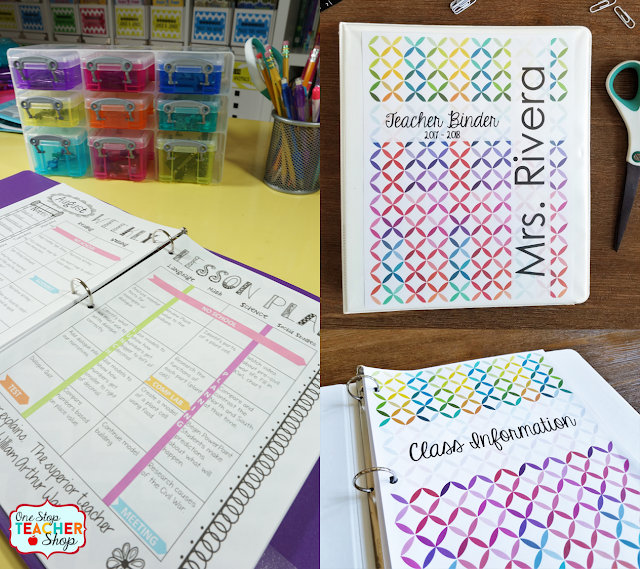 Throughout my time in the classroom, I developed a few key classroom organizational systems that I know will help you get your papers in order, and keep you and your students organized all year long! Before I start organizing my classroom, I use the idea that "EVERYTHING needs a place" and start from there. If everything has a place in your classroom, it is easier to keep everything in its place...Simple, right? I make a list of everything I need in my classroom and build my "Organization Plan". 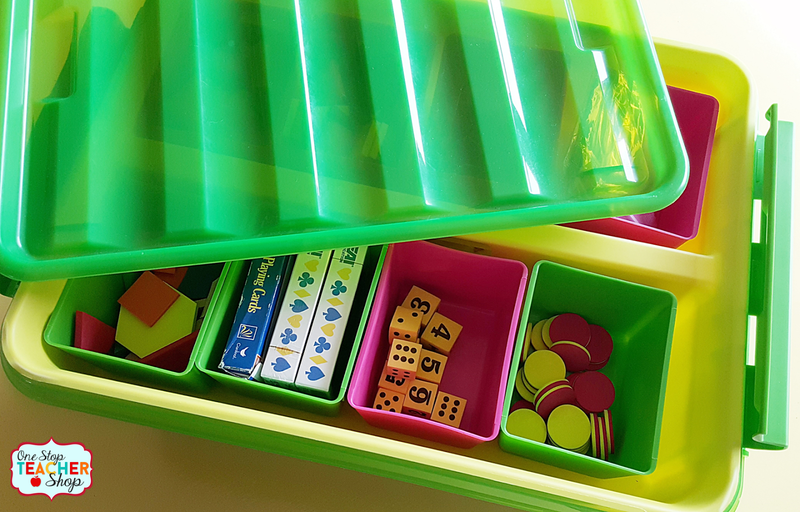 This is a great time to think about how you will store resources in your classroom, such as math centers, writing centers, and reading centers. As well as things like, backpacks, student belongings, textbooks, chapter books, pencils, papers, etc...you get the point. This task can feel REALLY overwhelming, but it doesn't have to be. If you would like a FREE copy of my Editable Organization Plan, just click below! Send me my Organization Plan! 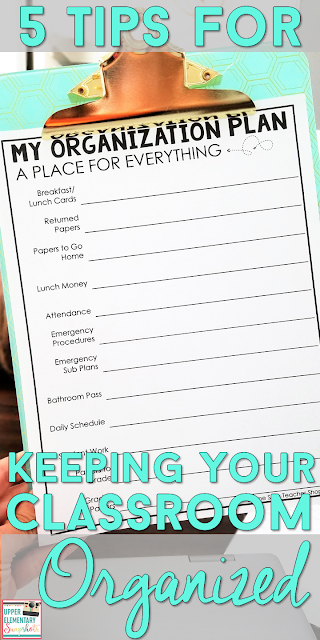 You can use this handy form to create a plan to get your classroom organized the right way! Simply list the main items in your room that need a place and write down your plan for where they will go. Once you are done, put your list into action. Your room will look great in no time at all. My favorite system for organizing ALL of my teacher papers is my Teacher Binder. This is the perfect way to keep everything you need in one convenient location. Plus, you can take it with you when needed. I have learned that a binder system is better than most because it is very easy to add and remove papers anytime I need to. I keep all important information in my Teacher Binder, including a class schedule, class list, parent contact info, a communication log, class birthdays, individual student schedules, passwords, to-do lists, meeting notes, etc. In addition, this is also where I keep my lesson plans, small group lessons, calendars, and student data. It really is my "One Stop Teacher Binder". To learn more about how to put together the perfect teacher binder, CLICK HERE. Yes, binders are for students too. I love to have each of my students bring in a "Heavy-Duty" binder at the start of the school year. 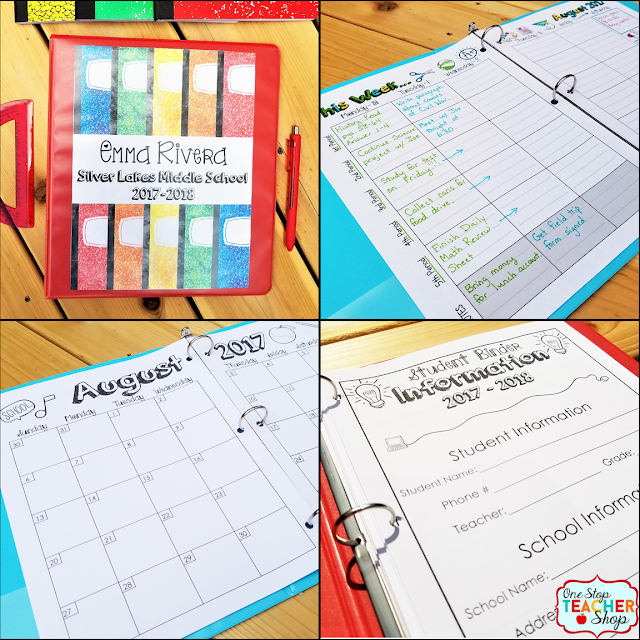 We then use dividers to organize it into subjects, as well as add a place for their homework, weekly student agenda, calendars, and lots of other helpful information I want them to have throughout the school year. Helping students to get organized using a system such as a Student Binder is a key life skill we often forget to teach. 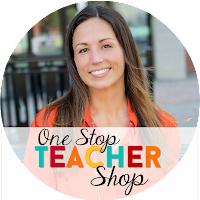 If you are looking for a fun and effective binder system for your students, check out my One Stop Student Binder. This is especially perfect for schools that are no longer using student agendas! To learn more about using student binders in your classroom, CLICK HERE. 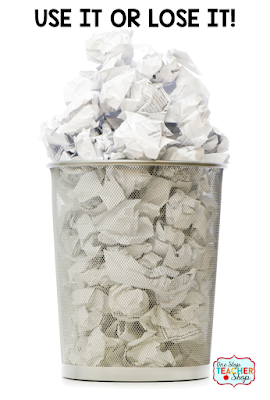 One of the key factors to getting and staying organized is to know when to throw stuff away. Here are 2 questions I ask myself whenever I'm not sure if I should throw something away. Can I find another one if I need it? If your answer to number 1 is "more than a year ago", throw it away. If you haven't used it in the last year, you don't need it. If your answer to number 2 is "no", give it a second thought and then decide if you should keep it a bit longer. 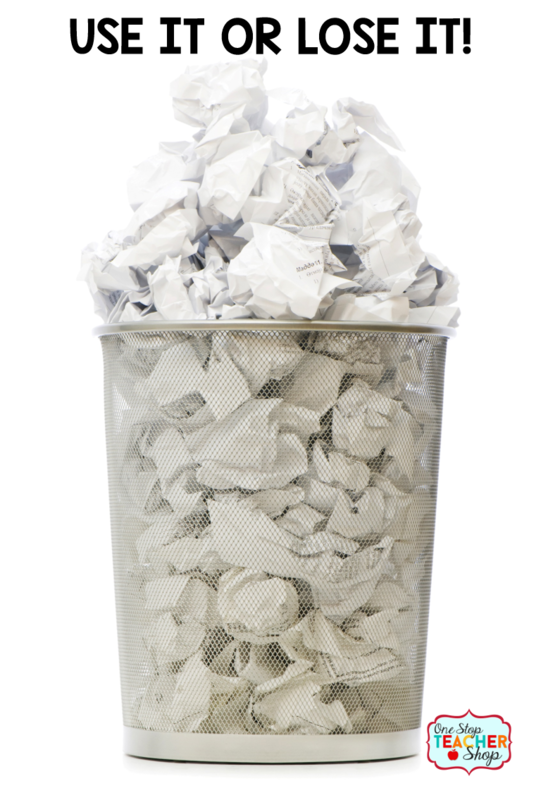 If you don't use it for another school year, toss it! Sometimes I find myself at the dollar store loading up on "book bins". A few months into the school year, I find that the book bins I was so excited to get are now cracking and breaking. This is the perfect example of a good deal not being so good. When you are a new teacher, buying everything for your classroom is overwhelming and expensive. Buying quality items isn't always a choice. Here is what I suggest...each year, set aside a little bit of money to purchase a new item for your classroom. Something that is sure to last you for years. Make sure it is made of quality materials and can stand the test of rough students. It may take you a few years (or more), but eventually, you will have a classroom that is built to last. 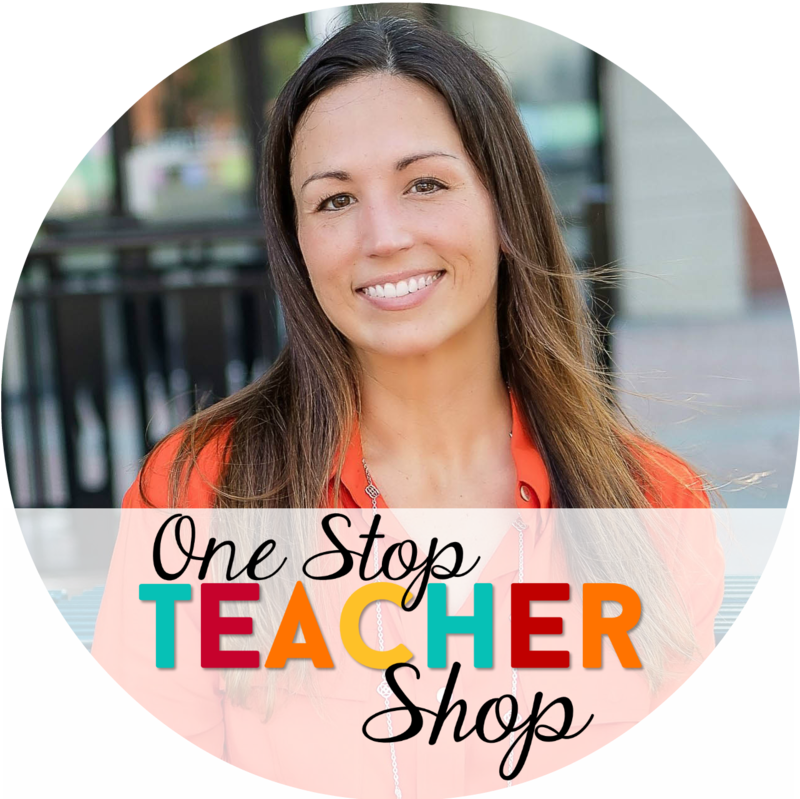 I hope some of these tips will help you become the organized teacher you want to be!